It's been a while since I checked in on the mommy front, so figured it was about time! Hannah has grown so much and isn't a fragile little newborn anymore. She's so giggly and curious and affectionate... she's a little person now and we are having so much fun with her! It's also been amazing for us to see how much has changed with her in just the past few weeks. She's scooting around (only backwards so far, which is really funny), enthusiastically eating cereal and fruit and veggie purees, chatting away, teething (ugh), and sleeping through the night almost every night... except for a few recent ones where she's been awakened by teething pain. And with all of these changes in Hannah, I've got a new batch of favorite baby things to share with you today! Here's a little rundown of what this mommy (and her baby) have been loving lately-- and seeing as today is Black Friday and Cyber Monday is approaching, consider this a holiday shopping list for any new moms, moms-to-be, or babies in your life too! 1. OXO Tot On-The-Go Drying Rack with Bottle Brush - This was so helpful on our recent trip to Boston! The brush comes apart and tucks neatly inside the drying rack, which folds in half into a compact little package that's easy to pack. This is perfect for drying bottles and pump parts that have been handwashed at a hotel. 2. Chewbeads Perry Necklace - It seems like Hannah has been teething for months, but for the last few weeks especially she's been putting everything in her mouth-- including my jewelry. Chewbeads must have been invented by a mom because they're really ingenious. Wear one of these discreet necklaces anywhere and your baby has a teething option readily available. 3. Stokke Tripp Trapp High Chair Complete Bundle - This is not an inexpensive high chair, but I'd consider it an investment. It looks cool (a plus since it is now front and center in my dining area), is well made, can be pulled right up to the table so Hannah can eat with us, and will grow with my child from infant high chair to toddler and child seats. 4. Sassy Ring O' Links - This is the simplest cheapest thing, but so great that I bought a second one after receiving one at my baby shower. 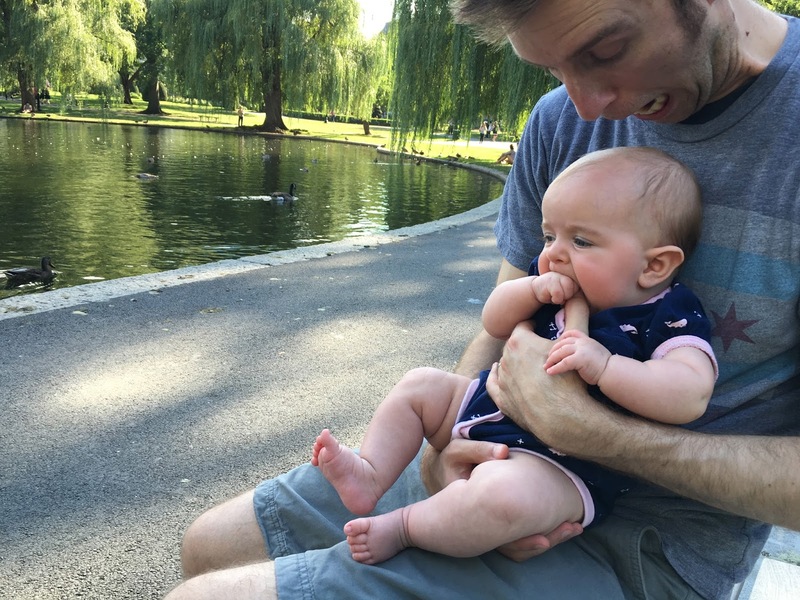 These rings are always in Hannah's hands-- one of her favorite things to hold and chew on. They're also great for hooking toys to the car seat, hanging a purse or blanket off the stroller, and so small they can travel anywhere easily. 5. Beaba Babycook Baby Food Maker - While I had always planned to make Hannah's baby food from scratch, my initial plan was to use my own appliances to do so. Another mom friend with toddlers gave me her Babycook that she no longer needed and I have to say, I love it. It's so easy to fill with cubed produce, add water, steam, and then blend all in one vessel. And Hannah loves the food! 6. Skip Hop Lion Bandana Buddies Activity Toy - I picked this lion up as an impulse buy, but it has come to the forefront as one of Hannah's favorite toys. Even before she was as interactive as she is now, this lion could make her smile and laugh with all of it's different textures and noises. It's also a perfectly approachable size for baby. 7. Burt's Bees Baby Essential Organic Cotton Bibs - Since she's teething and also upright more often than not these days, Hannah drools and throws up pretty much all day long. In order to salvage her shirts, she's almost always sporting one of these bibs. They're made of the soft 100% cotton that I love from Burt's Bees products and most importantly, they're machine washable! 8. Ergobaby 360 Baby Carrier - Around 5 months old, Hannah decided she was all set with riding in the stroller. We had the Ergobaby 360 in her closet since before she was born and on a whim, took it with us on a visit to an apple orchard. She LOVES riding in this thing-- especially because she face outward and can see the world around her! I carry her around all the time in this now-- at the grocery store, on family walks, at the farmer's market... and unless she's super tired or cranky, she is always kicking her legs in excitement, smiling, and making friends with total strangers. And as the parent carrying her, I have to say it's a pretty easy system to put on, adjust, and it hasn't killed my back yet. 9. iPlay Solid Brim Sun Protection Hat - Unless you live in the south or are planning a trip somewhere warm soon (in which case, I am jealous), you may not have immediate use for this hat. However, on summer walks and on our trip to Boston this hat was in heavy rotation. 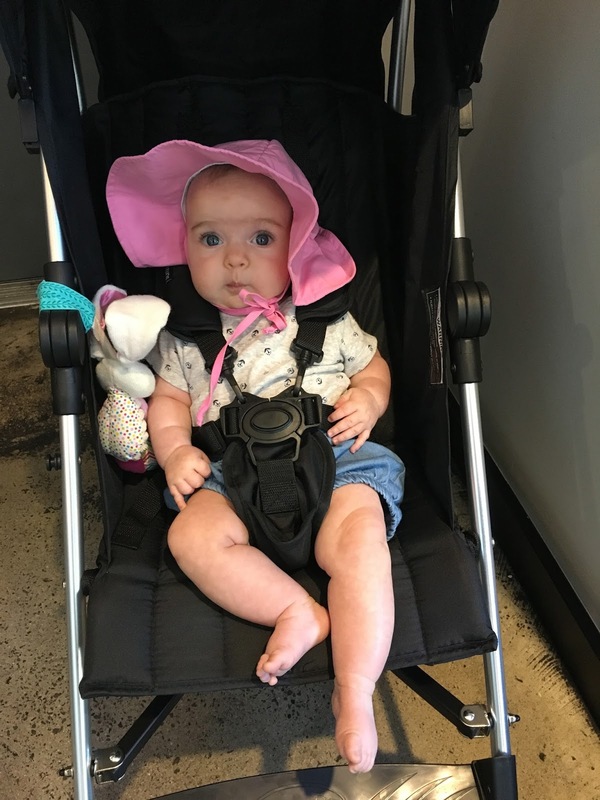 It's soft and easy to pack and it's adjustable to snugly fit multiple head sizes (even big noggins like Hannah's) and it's wide brim and UPF 50+ material help protect your little one from harmful UV rays. 10. Evenflo Exersaucer Jump & Learn Jumper - Hannah is obsessed with this thing. Even before her feet could touch the ground in it, she loved sitting in the seat and interacting with all of the toys and sounds on it. Now that she's a little bigger and learning to balance, she's always excited to jump around in here, plus it gives her a higher vantage point than she's used to when playing on the floor so it's a nice change of pace for her to be able to see more of "the world" around our house too! 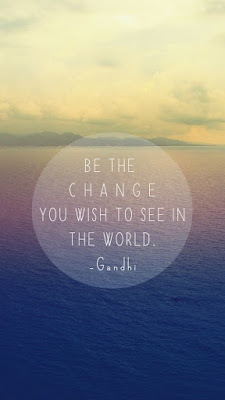 I have always refrained from posting about politics on the blog and don't plan on starting now. That's not what A Squared is about. That said, it can't be ignored that a good part of America seems to be feeling frustrated, scared, angry, confused, and helpless... and that's no good for anyone. It's had me thinking a lot for the past several days about what I can do and what we can all do to feel a little less helpless-- by helping. Not to get too spiritual on you, but Ghandi once said "be the change you wish to see in the world" and that's what I'd like to do. Feeding America - The largest hunger relief network in the United States, working with a variety of charities and organizations to feed hungry Americans. Meals on Wheels - A national program dedicated to delivering nutritious meals to senior citizens, specifically to those in need or in isolation. Heifer International - Using the "teach a man to fish" philosophy, Heifer allows donors to gift animals to those in need, providing a sustainable source of food and income. Greater Chicago Food Depository - 1 in 6 Cook County residents asks the GCFD for assistance each year. Donate funds or food and help feed your Chicago neighbors in need. Feed the Children - This organization feeds over 263,000 hungry children around the world every day in addition to providing funding for long term solutions like clean water, healthcare, and education. Action Against Hunger - Action Against Hunger provides a variety of services to the global community including hunger relief, clean water, hygiene assistance, food safety, and emergency response. The Hunger Project - A global organization that empowers individuals and communities to develop their own sustainable strategies for overcoming poverty and hunger. Food for the Hungry - Sponsor a child via this Christian-based organization that helps fight hunger in some of the world's most vulnerable areas, providing physical and spiritual healing. God's Love We Deliver - Based in New York City, this organization delivers nutritious meals to patients suffering from HIV/AIDS, cancer, and other serious illnesses who are homebound or unable to cook for themselves. No Kid Hungry/Share Our Strength - This campaign not only helps to feed hungry children, but also educates families on how to cook affordable nutritious meals too. If you follow me on Instagram, you know that a few months ago (gah! It takes so long to get around to posting these days) my family and I returned to my old stomping grounds in Boston for a friend's wedding. It has been about 8 years since we lived there and almost as long since I was last there to visit. To say that things (in my life and in the city of Boston) have totally changed since then is an understatement. It was pretty crazy to come back to the city after all this time and stay just blocks from my old apartment with my husband (who was the boyfriend that back then convinced me to leave my beloved Beantown for Chicago) and with our little baby fresh off her very first airplane ride. The weekend was a whirlwind and Hannah was a champ while we carted her around the city on a fraction of the sleep she is accustomed to getting. And while we weren't closing down the bars like we were when we once lived in Boston, we still managed to enjoy our time in the city-- checking out a few old favorites and some new ones too! We spent most of our time in the South End and the Back Bay, which was where I spent the majority of my time when I lived there too. The neighborhoods have changed a lot, but they still have that same charm that I fell in love with when I lived there too. 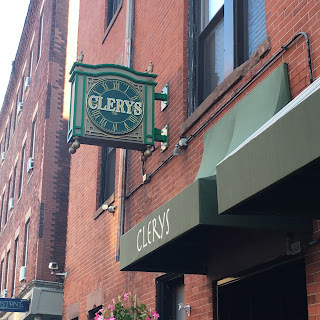 Above: Clery's namesake (and scene of our first date) and my old apartment! We arrived at our hotel on Friday afternoon completely starving with a baby desperate to take a nap. So, while I hung out in a dark hotel room with a sleeping Hannah, Alex ventured out to get us some much needed food. He headed over to Picco to pick up some delicious pizza for us and it was just as good as I remembered. Picco is a staple of Boston's South End, located on Tremont Street since back when the South End was still up and coming. They have stuck around because their pizza is amazing and their gelato may be even better. Picco serves a simple, but well executed menu that updates seasonally, which (in my opinion) is always the way to go-- ensuring that you're enjoying variety and the best produce. 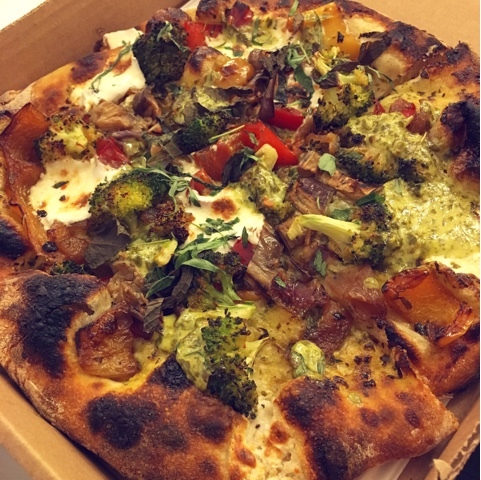 When we dined on Picco pizza this summer, I had a delicious vegetarian option topped with grilled broccoli, peppers, and onions, Green Goddess sauce, and fresh herbs. 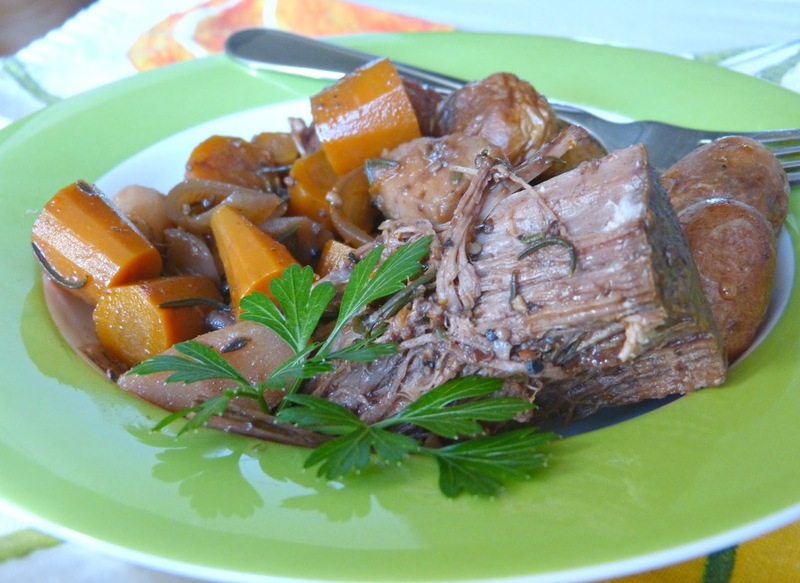 They were generous with the veggies (which had some nice sweetness and char from the roasting process) and the sauce added a great punch of flavor. Right now their menu features pumpkin ravioli and a Brussels sprout & butternut squash pizza. I'd go back to Boston again just to order that! 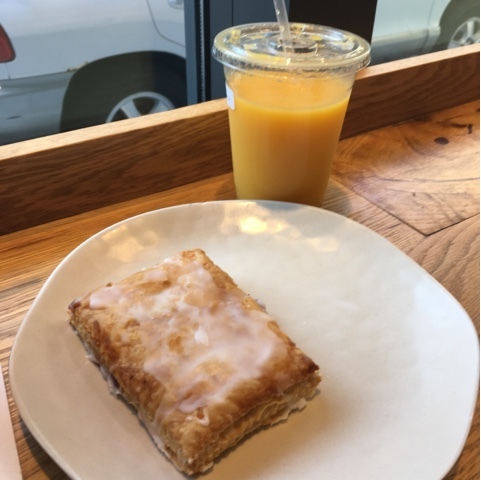 When I was a Bostonian, Flour was one of my favorite spots for a weekend coffee (and probably a pastry too) in the South End. 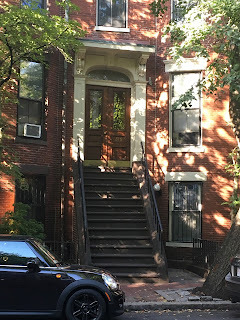 It was buried deep in the South End on Washington Street though, so I only made it there when I was up for a good walk or when it was time for a root touch-up (as it was conveniently located next to my hair salon). Fast forward to our recent visit and I learned that there was a newer Back Bay location now too. I was excited to give it a try and also happy for my 22-year old self's wallet that it didn't exist when I was living 3 blocks away. Hello, morning routine and subsequent debt! Since Hannah is an early riser-- especially when she's sleeping away from home-- we had the perfect opportunity to walk the neighborhood Saturday morning and make a trip over to Flour's Back Bay location for breakfast. Even early on a Saturday morning, Flour was bustling. This location is long and narrow with a handful of tables in the front of the store and some bar-style seating in the smaller area in the back. We found a corner back there that would more easily accommodate Hannah's stroller and then perused the amazing selection of baked goods at the counter. Ordering here feels chaotic and disorganized, but their staff knows their stuff and clearly has it all under control. Alex ordered one of Flour's homemade "pop tarts." This was not your standard toaster pastry. Buttery flaky pastry dough was filled with tangy berry preserves and drizzled with icing. Everything about it tasted so fresh and decadent enough to be dessert... which is exactly how Alex likes his breakfast! Oh, and the freshly squeezed orange juice? Also delicious. Completely forgetting that I had a veggie pizza for dinner the night before, I went with the vegetable breakfast pizza and don't regret the decision at all. 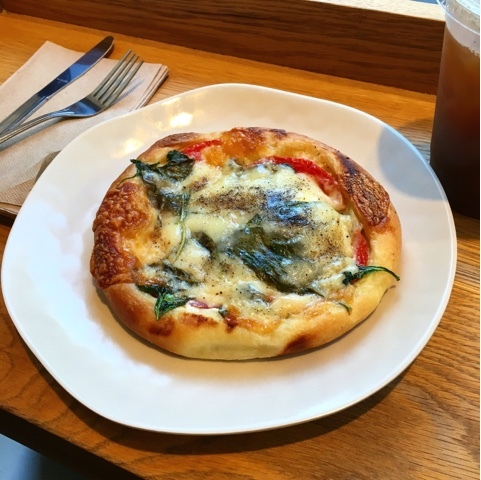 It looks like a run of the mill spinach pizza from this vantage point, but once you cut into this personal pizza you'll find a cooked egg in the center under that melty cheese. It had a great chewy housemade crust and was a super satisfying breakfast. Also, kudos on the cold brewed coffee too! Abby Lane is a new-to-me restaurant located in Boston's Theatre District. My parents and sister came into town on Saturday morning to babysit for Hannah while we attended a wedding that evening, so I was on the hunt for a good lunch spot for all of us. After doing a quick search online, Abby Lane kept popping up and seemed to tick all of my boxes: it was nearby, casual and family friendly, with a solid menu of recognizable and more creative twists on American dishes. Decision (and reservation) made! One of the best things about dining with my dad is that no matter how hungry (or not) you are, he's very serious about ordering appetizers for everyone to share. Even if nobody is interested, a bowl of spinach dip will inevitably end up on the table. This lunch was no exception and we started our meal with an order of the Showtime Nachos. 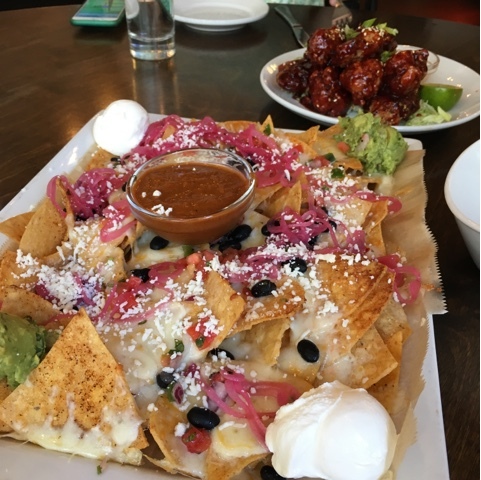 Nachos might be one of my favorite bar snacks, so I was pretty excited about these and they lived up to the hype. The chips themselves were seasoned with a savory and slightly spicy dry seasoning and then topped with tons of melty cheese. The nachos were topped with black beans, pico de gallo, tangy pickled onions (one of my favorite additions to the plate), and sprinkled with a little queso fresco. They were then topped with a generous amount of guacamole, crema, and a smooth salsa for dipping. I loved that these nachos were full of different flavors and that they tasted fresh, not greasy or heavy. We opted to get ours without meat, but you can add chicken, bacon, or steak to these too. Alex and I both decided that since we were back in New England, we needed to get a lobster roll fix before we headed home. 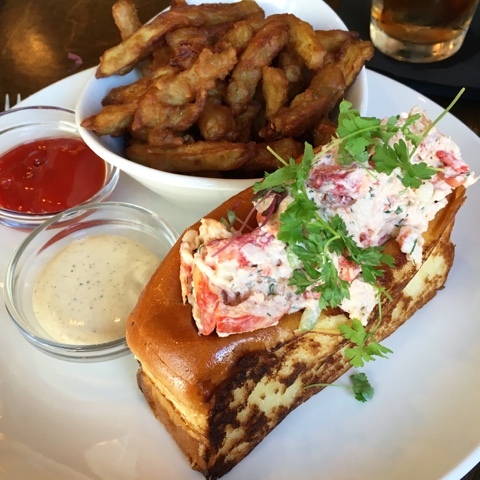 Abby Lane's lobster roll begins with a really thick brioche roll that's buttered and toasted, which is the ideal foundation for a classic lobster roll. Their lobster filling was more along the lobster salad than straight buttered lobster line, but it was very good-- served very cold with just enough mayo, celery, fresh herbs, and generous chunks of lobster meat. Alex ordered a side of fries with his sandwich, but I went with Abby Lane's eggplant fries and they were totally addictive! The eggplant was sliced like a fry and deep fried in an airy crispy breading. They were served with ketchup and a tangy aioli for dipping. I wasn't planning on having any other restaurant reviews to share with you, but after a 4+ hour delay we became very familiar with the vendors in Logan's Terminal B. Since we knew we'd be around for a while, Alex and I decided to find a place for a real meal and thankfully Stephanie's-- a familiar name-- was just a few gates away. The original Stephanie's is located on Boston's famed Newbury Street and is an institution there (now with locations in Southie and the South End too)-- with tables filled with tourists and locals alike all day long. They're known for upscale comfort food with an emphasis on New England classics. And that sounded like exactly what we needed (along with a big glass of rose!) while we settled in for a long night of waiting. Alex is a huge fan of New England clam chowder so it was no surprise that this caught his eye on the menu. 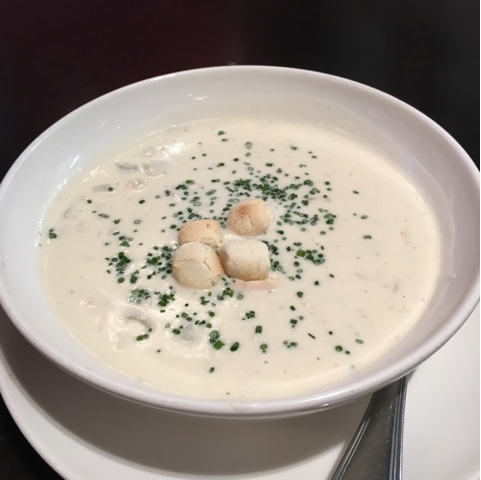 Stephanies' chowder is thick and rich and made with hearty chunks of potatoes and local clams. The chowder also had great smokiness from the addition of bacon, which (IMHO) should be included in all clam chowders. Garnished with a little fresh chive, it was definitely a comforting bowl of chowder! 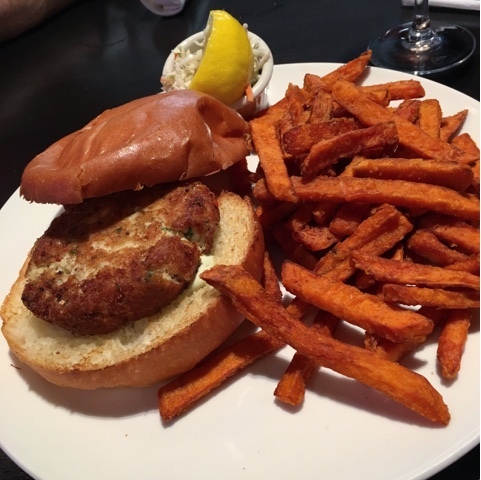 I'm a sucker for a crab cake, so I went for the Stephanie's crab cake sandwich. Good crab cakes are delicious, but bad ones are just terrible so I am always a little skeptical about ordering them. Thankfully, this one lived up to the hype! The crab cake was nice and crispy on the outside and filled with sweet meaty crab (and not filler). It was served simply with a remoulade sauce on a toasty brioche roll. I ordered mine with a side of crispy sweet potato fries and it was also served with a tiny cup of coleslaw to round out a perfectly New England plate. So I have to admit that although being stranded at Logan for 4+ hours sucked, we were at least presented with some really solid dining options while there. Terminal B is also home to Berkshire Farms Market, a little grab-and-go market that sells small batch and locally sourced items from producers in the Berkshires to Boston. So instead of getting a bag of pretzels from the airport newsstand, you can head here for everything from granola to chocolate to smoked Gouda. Before we boarded our late night flight, I picked up a few muffins from the Berkshire Farms Market bakery case. They were selling blueberry and morning glory muffins freshly baked at the South End Buttery, one of the best bakeries in my old neighborhood. We didn't get a chance to get there during our visit, so it was great that we could have a taste of the Buttery on our first morning back home. It's no secret to regular readers of this blog that I am a big proponent of homemade food and real ingredients. That's the kind of food I grew up eating (save for the many blue boxes of mac and cheese that we went through... and that I still love), the food I grew up learning how to cook, and it's the kind of food I prefer to make for my family and hope that my child(ren) will grow up loving too. 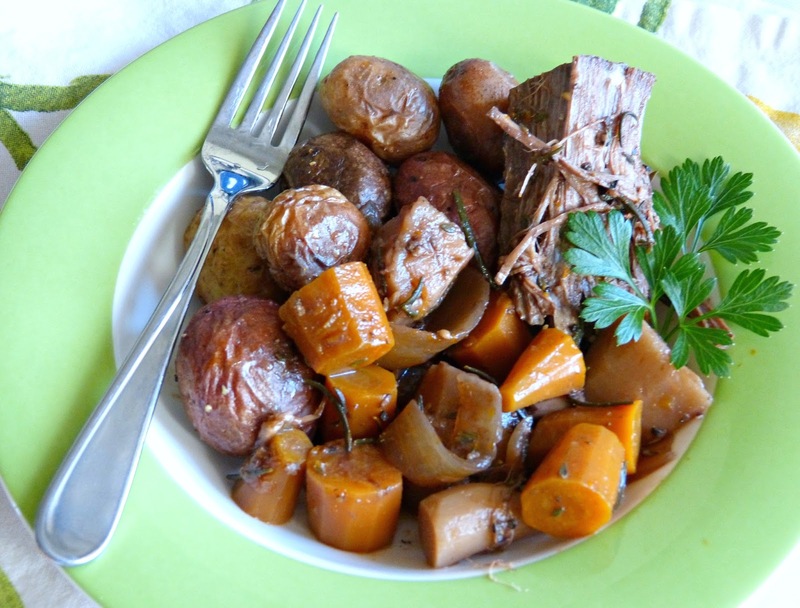 Cooking with real ingredients is healthier, more flavorful, and oftentimes more economical as well. 1. Giovanni Rana pastas - These are some of the best quality prepared filled pastas I have ever tried. 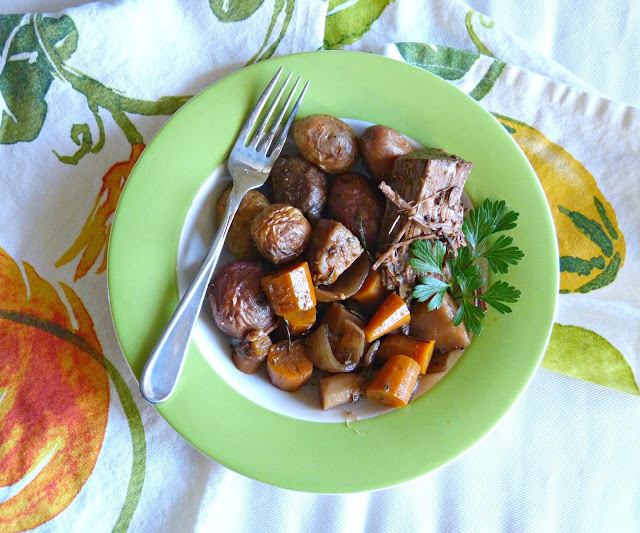 They typically cook in a quick 2-3 minutes, which helps dinner come together in a flash. They're available with tons of different fillings, but I'm most partial to the classic spinach & ricotta, the earthy mushroom, sweet butternut squash, and the smoky uncured bacon & mozzarella ravioli varieties. Just add sauce (or even just some sautéed veggies and olive oil) and a satisfying one bowl dinner is ready. 2. Taylor Farms Chopped Salad Kits - Bagged salads are a given when it comes to easy and healthy meal shortcuts, but these chopped salad kits take it to the next level (I hate that phrase, but it's true). Each chopped salad includes unique pre-washed ingredients like kale, Brussels sprouts, cabbage, and brocolli paired with delicious mix-ins like nuts, seeds, cheese, and a dressing. My favorite is the Southwest Chopped Salad. I just add some diced avocado or shredded rotisserie chicken (another great shortcut ingredient) and it's a fast and filling lunch or dinner. 3. Whole Foods shrimp skewers - This is one of the most convenient ways to prepare seafood. The Whole Foods fish counter sells shrimp that has already been peeled, deveined, skewered, and occasionally, pre-seasoned. All the hard work is done, so these skewers can just be grilled or sauteed for a few minutes and then they're ready to eat. They're also frequently running good deals on it too, so it can be an economical option for serving seafood at home as well. 4. Frontera Seasoning Sauces - I have always been a fan of Chicago chef Rick Bayless and his amazing restaurants (I'm not sure how many times I have proclaimed my love for his Tortas Frontera at O'Hare Airport here), but these sauces are game changers for cooking at home. These flavorful sauce pouches make a Mexican-inspired dinner at home so easy. 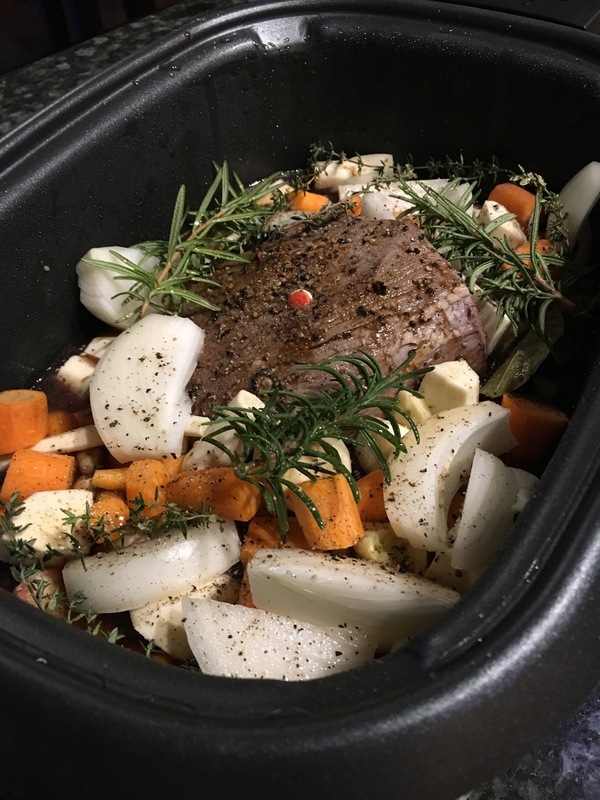 I especially love the slow cooker pork carnitas and beef barbacoa sauces because the slow cooker always wins when it comes to making a shortcut meal-- and the flavors just get better the longer they cook. I also love the enchilada sauces, which are perfect for a make-ahead meal. Just add cheese and/or shredded rotisserie chicken! 5. Rotisserie chicken - A rotisserie chicken is one of the staples of shortcut cooking. They can be used in hundreds of different ways-- and often in conjunction with the other foods on this list! I like to shred the chicken and use it to fill enchiladas or sandwiches, toss with pasta, top a salad, or to serve on its own with a cooked veggie and a starch for a simple dinner. Be on the lookout for other varieties too-- my grocery store sells rotisserie chickens with different seasoning blends, unsalted, and also just the chicken breast too. And for a real time saver, they frequently sell the pre-shredded meat right next to the whole chickens. 6. Uncle Ben's Ready Rice - I first discovered these handy little pouches in college-- another time in my life when I didn't have enough time to cook a real meal very often. I have recently added them back into heavy rotation for our weeknight dinners and forgot just how convenient they were. Just 90 seconds in the microwave and you've got rice for two ready to serve. I love the brown and the whole grain wild rice, while my husband prefers the rice pilaf. All of them are a great accompaniment to any grilled protein or to a quick stir fry. 7. Salad bar vegetables - This is one of my new favorite cooking hacks. Instead of spending tons of time washing and chopping vegetables, picking a few pre-cut veggies from the salad bar at your grocery store is a great way to incorporate fresh produce into a meal while seriously cutting down your prep time. My favorite salad bar veggies include bell pepper strips, matchstick carrots, chopped celery, and snow peas (because my store only sells them in huge 8 oz. packages when I usually only need a handful). It may not be as economical as buying vegetables whole, but it's a great option when you're pressed for time. 8. Soy Vay sauces - I love these sauces and marinades for an easy Asian-inspired dinner. One of my new go to dinners is to add a browned pork tenderloin and diced onions to a slow cooker with a little chicken broth and Soy Vay Veri Veri Teriyaki. I add sliced bell peppers and snow peas (see #3!) for the last hour of cooking and serve over rice. 9. Pacific Organic Roasted Red Pepper Tomato Soup - I'm not usually a fan of prepared soups. They're usually chock full of salt and preservatives. This soup is a different story though. It's creamy and flavorful and made with real ingredients. They also sell it in one of those handy containers, making it easier to store than canned soup. I love this soup with a toasty grilled cheese sandwich or a side salad for an easy meatless dinner or lunch. I also recently spotted it at Costco too! 10. Annie's Mac & Cheese - Boxed mac and cheese is the ultimate shortcut meal-- and one of my guiltiest pleasures for as long as I have been eating solid foods, I'm pretty sure. Thankfully, Annie's makes me feel slightly better about eating boxed macaroni and cheese since it is made with organic pasta, all natural ingredients, and no preservatives. I like mine with a few dashes of hot sauce and then I mix in some cooked veggies (like roasted broccoli or asparagus) or for the quickest of shortcut meals, stir fresh spinach leaves into the hot mac and cheese. It wilts down in seconds and ups the health quotient of your bowl a bit more. By the way, they sell variety packs of Annie's mac and cheeses at Costco too. It's a great way to stock up and make sure that you always have a meal on hand and can avoid costly takeout when you're feeling lazy or pressed for time. Even though fall isn't necessarily considered to be prime grilling season, Alex and I still love making dinner on the grill as often as possible in these chillier weeks leading up to our first snow (eek!). In fact, I sometimes prefer grilling in the fall. It's a lot nicer to tend a hot grill when there's a chill in the air versus when it is 90 degrees outside! So if you're looking for a way to celebrate the great outdoors while you still can-- and a way to use some of those end of season tomatoes-- this grilling recipe is a great one! This easy tomato saute really brings out their flavor. These flavorful sauteed tomatoes are an easy and elegant topping for a simple grilled steak. Cooking them down until they begin to burst releases their juices, which then gets combined with broth, Balsamic vinegar, and a touch of Worcestershire sauce. A little fresh garlic and rosemary adds a little savory depth to the flavor and once it all cooks together it thickens up and is perfect for spooning over the top of a steak. 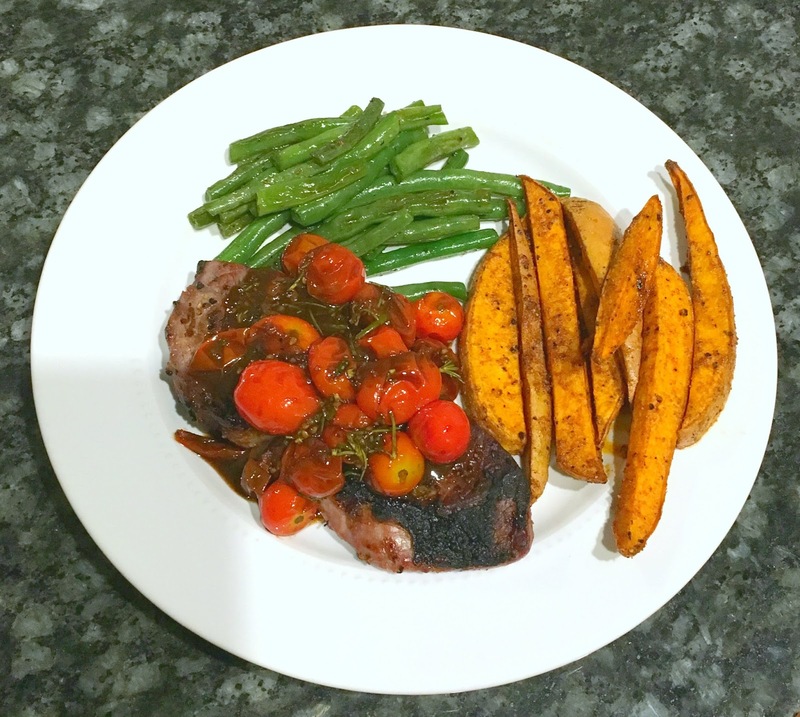 I didn't specify what kind of steak to use here or even how to prepare it (beyond basic seasoning) because, to be honest, this is really all about the tomatoes. I prefer a filet, but get creative and use these on any cut that you like! 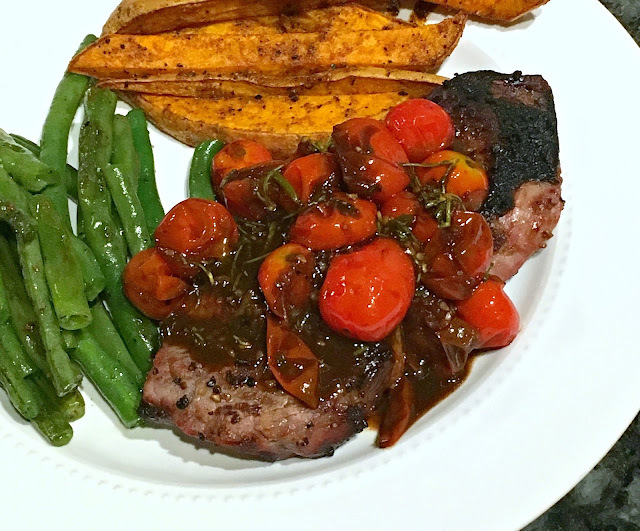 And while this is delicious on steaks (especially with that touch of Worcestershire sauce), these tomatoes are versatile and could be served over grilled chicken breasts or a pork tenderloin too. Heat a medium pan over medium-low heat and add olive oil and butter. Swirl to coat the pan and add in garlic. Saute for one minute, stirring frequently. Bring heat up to medium and add tomatoes. Saute the tomatoes for 5 minutes, stirring frequently. Add in the rosemary and continue to saute for another 5 minutes. Pour the broth and the Worcestershire sauce into the pan and simmer until the liquid has reduced by about half and begins to thicken. Stir in the balsamic vinegar, cook for 2 minutes. and remove from heat. Spoon over the cooked steaks and serve. 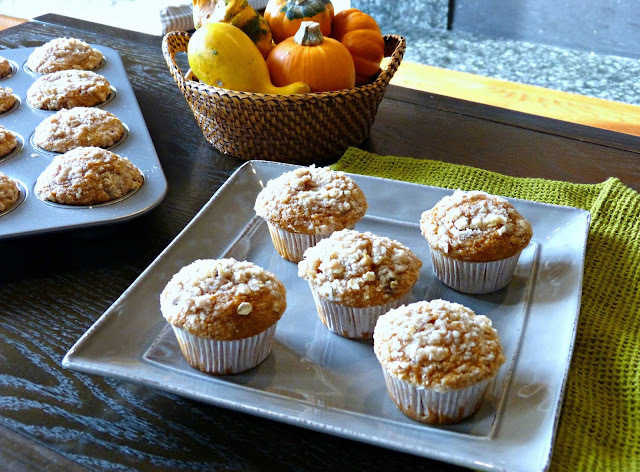 Looking for an easy homemade treat to bake and take to a fall gathering? 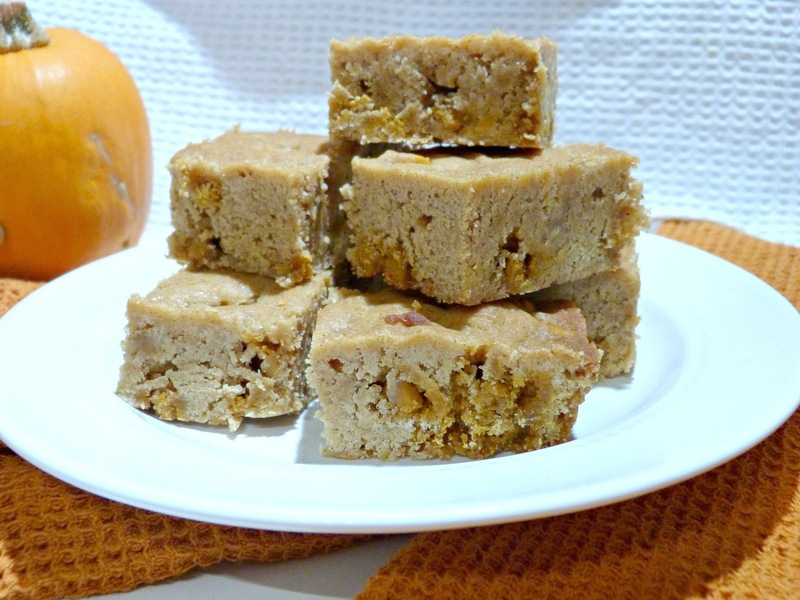 Look no further than these spiced pumpkin butterscotch blondies! Being a new-ish mom (can I still say "new" after 6 months? Let me know your thoughts), I don't get a ton of opportunities to cook or bake for fun right now. It's usually a scramble to get something semi-homemade on the table for dinner every night, so anything beyond that can feel a bit overwhelming. And when it happens, like a huge success! But I missed baking just for the fun of baking, so when Alex told me he'd volunteered to bring dessert to a recent work event I jumped at the chance to flex my creative muscles in the kitchen again. And this recipe is the perfect marriage of low maintenance and big flavor. You know I love a blondie (see here and here and here). They're rich and buttery and can adapt to tons of different flavor combinations. Plus, it's a pretty simple base recipe that entails mixing, baking in one big pan and slicing. Nothing complicated here. Since it's October Alex thought a pumpkin blondie would be appropriate and since I'm not one to turn down pumpkin-flavored anything, I got to work: a little pumpkin purée and pumpkin pie spice in the blondie batter tastes and smells just like fall when these blondies bake up. I folded in butterscotch chips for some added sweetness and texture plus that super sweet caramel-like flavor melds nicely into that pumpkin batter. The result is a moist chewy bar that just tastes like fall! Preheat oven to 375 degrees. Butter and flour (or use cooking spray made for baking-- it has flour in it) a 9 in. x 13 in. baking dish. Place butter in a large glass mixing bowl and microwave on medium low until completely melted. Add brown sugar and pumpkin to the melted butter while still warm and stir well until smooth and fully combined; it should have a very thick almost caramel-like consistency. Allow mixture to cool to room temperature. In a separate medium mixing bowl, whisk together flour, baking soda, salt, and pumpkin pie spice. Once the brown sugar mixture has cooled, beat in the eggs and vanilla until fully incorporate. Add the flour mixture in gradually (I find that adding it in 3 or 4 parts works well), mixing until combined before adding more of the dry ingredients. A very smooth almost dough-like batter will be formed. Gently fold in the butterscotch chips and pecans, if desired. Spoon the batter to the prepared baking dish and use a rubber spatula to spread it out evenly. 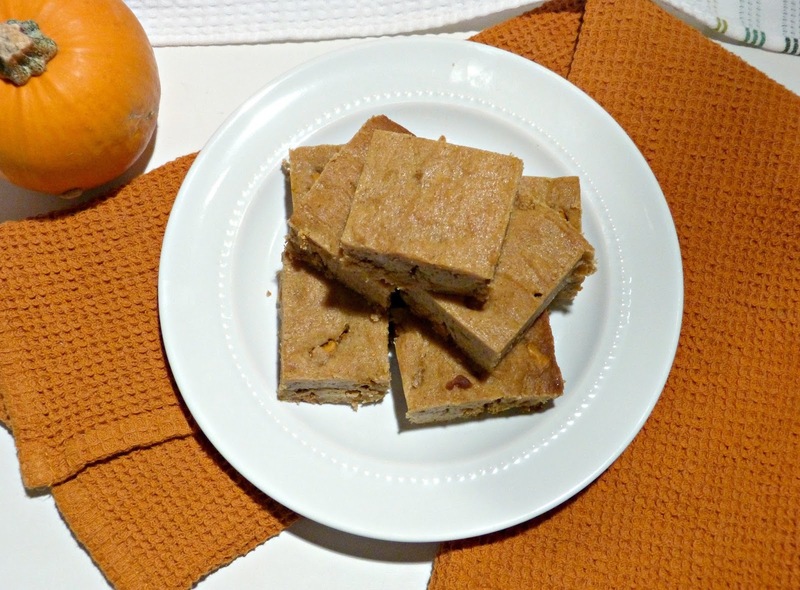 Bake until the blondies are golden and just brown around the edges, about 20-25 minutes. You'll want to insert a toothpick to test the center. Remove from the oven and let the blondies cool slightly. Carefully invert onto a metal rack (they are so buttery that they should just fall out of the pan) and allow to cool completely. Slice into squares and serve. One of the things I love most about fall (besides crunchy leaves, cool weather, comfy sweaters, and pumpkin spice everything) is that this is really the season of baking. Fall ushers in cooler temps perfect for weekend afternoons inside baking delicious treats for the holidays and filling the kitchen with the smells of cinnamon, apple, and pumpkin at the same time. But baking for me is also about family and some of my favorite memories from growing up are from baking birthday cakes with my mom, holiday pies with fancy lattice crusts with my aunt, and frosting dozens and dozens of Christmas cookies with my siblings. I hope that baking with me will be one of Hannah's fondest childhood memories too... once she's old enough to "help," that is! Krusteaz knows that baking isn't just about food, but it's also about making memories which is why they've launched their #SayItWithKrusteaz campaign. Krusteaz wanted to know how their customers demonstrate love through baking, so I decided to whip up some tasty pumpkin muffins with family in mind! My parents are in town for the weekend and are babysitting Hannah while my husband and I are at work and attending a wedding this weekend. So I wanted to make sure there was something delicious and homemade for them to snack on while they're at our house. I've also got two sisters in college and wanted to send them a little care package because what's more fun than receiving mail at college? Receiving mail with freshly baked muffins in it, that's what! Pro tip: Place a piece of bread in the airtight storage container with your baked goods. The bread will get stale and your baked treats will stay moist! I don't have a lot of time to bake from scratch these days, so Krusteaz mixes provide a perfect base for any baking I'm doing this fall. 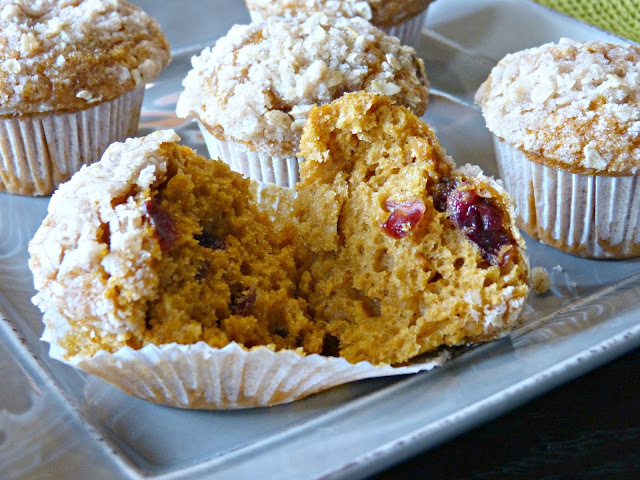 I took their pumpkin spice muffin mix and stirred in dried cranberries, which adds a great tangy sweet touch and chewy texture to the muffins. I also mixed up a quick homemade streusel topping that caramelizes and gets a little crunchy in the oven. These muffins taste like fall-- spicy and sweet with a hint of pumpkin flavor. They're so easy to make and the perfect baked good for letting someone know you care... even if it's just by serving them to your family for breakfast! 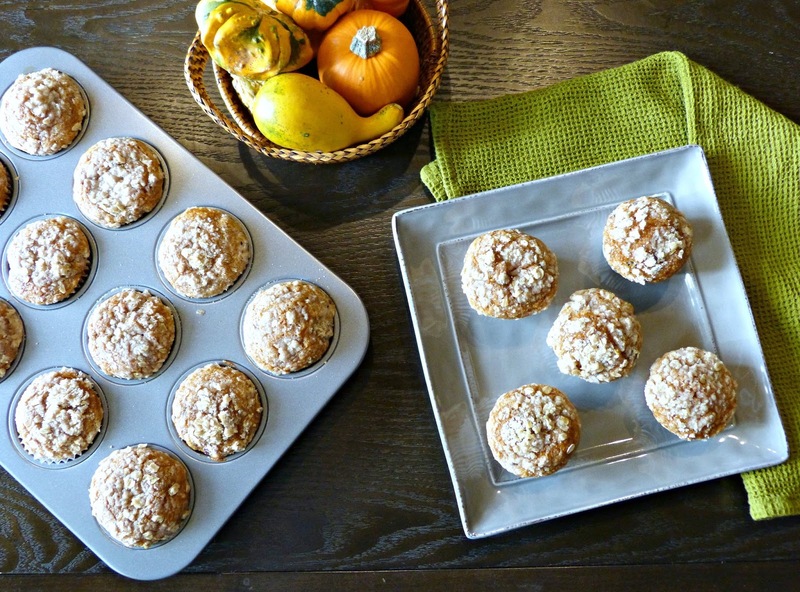 Preheat oven to 400 degrees F. Lightly grease or line muffin pan with paper baking cups. Stir together water, oil, egg and muffin mix until moistened. Fold in the cranberries until evenly distributed. Fill muffin cups 2/3 full. 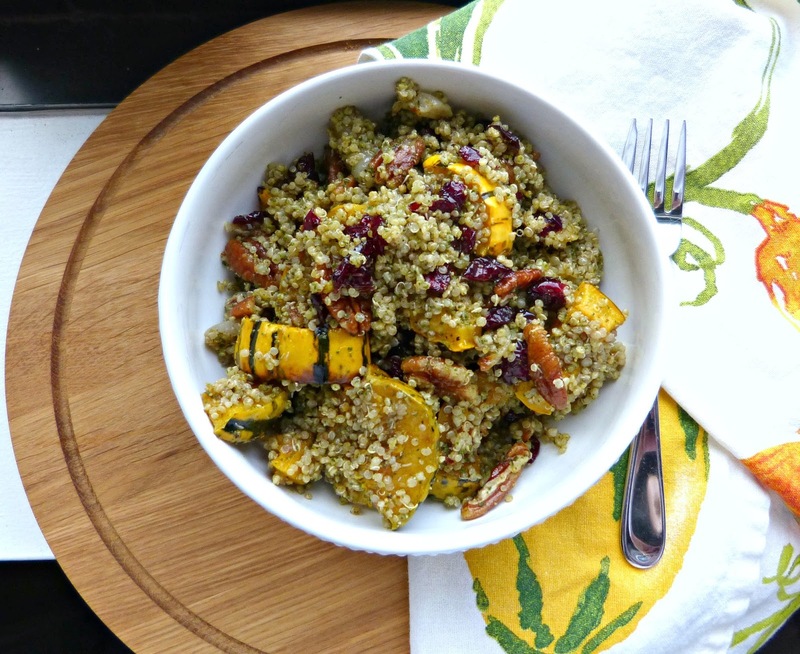 In a small bowl, mix together the sugar, flour, oats, and pumpkin pie spice. Cut in the cold butter until the mixture is crumbly. Sprinkle the mixture evenly over the tops of the batter-filled muffin cups. Bake as directed (14-16 minutes for regular size muffins) or until golden brown. Cool 5 minutes; gently loosen and remove from pan. Store cooled muffins in tightly covered container. Editor's Note: Complimentary Krusteaz products were provided in order to facilitate this post. All opinions, as always, are my own. Hope Hummus - Hummus has been a staple in my fridge for many years now. It's a filling healthy snack and comes in tons of different flavors. 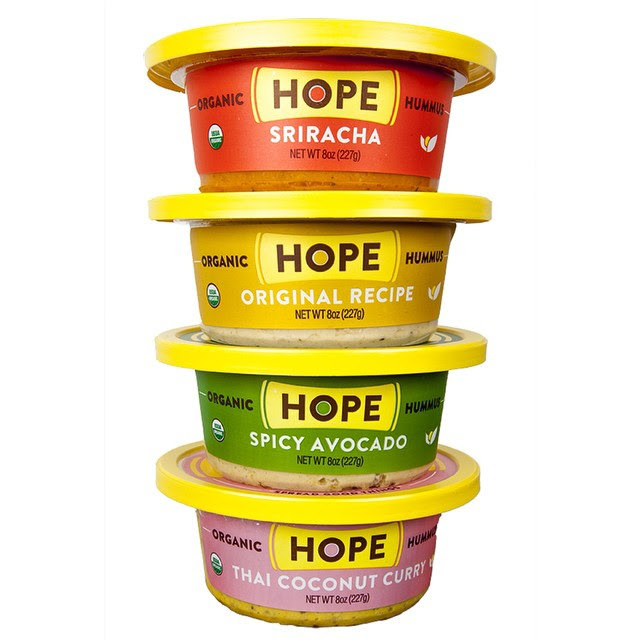 I recently tried Hope brand hummus though and their Sriracha organic hummus may be my new favorite. This hummus is organic, dairy free, and vegan approved and is seriously some of the creamiest and most flavorful hummus I have ever eaten. The sriracha flavor packs a ton of that signature tangy heat. I also love the Spicy Avocado hummus which is reminiscent of a super creamy and spicy guacamole. And if you find their elusive Dark Chocolate Spread let me know where... I am dying to try it! Use it... as an easy, healthy, and tasty addition to your game day spread! Sunday entertaining is tough, but you don't have to go crazy when you're hosting a Sunday football watch party. 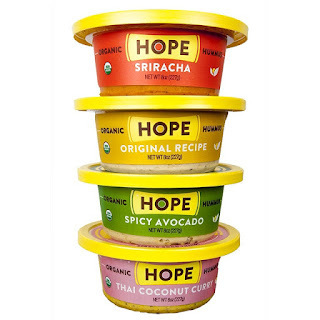 Just open up some Hope hummus, serve with pita chips and pretzels, and devour! CHEVOO - Any goat cheese lovers out there? [Raises hand] This product is for you! 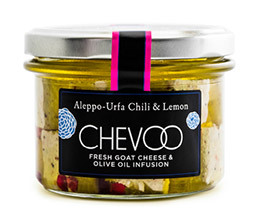 CHEVOO is the marriage of chevre (goat cheese) and extra virgin olive oil (EVOO), hence the name. As if those two ingredients weren't good enough already (on their own or together), unique and bold flavor combinations like smoked sea salt & rosemary or California dill pollen & garlic have been added to this mixture for what is by far one of the tastiest and most unique food products I have tried in quite some time. Marinated goat cheese may be out of the ordinary here in the US, but CHEVOO's creators are Aussie transplants who brought this tradition to their current home in northern California wine country, an area not only known for its wine, but also for its locally produced goat cheese. 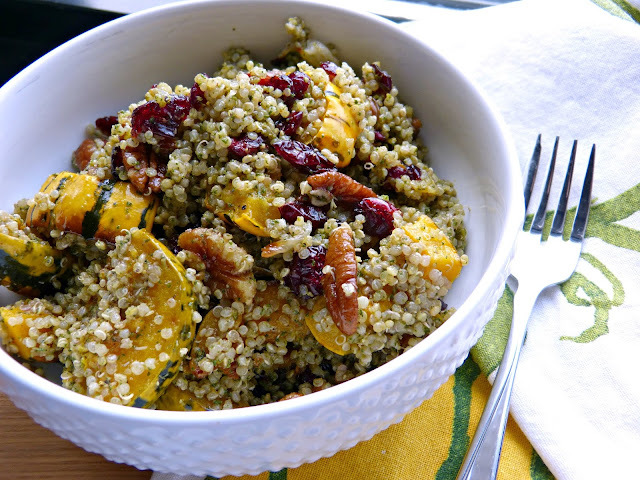 Use it... to create a delicious and flavorful side dish to bring to any holiday season potluck or dinner party. I added the Aleppo-Urfa Chili & Lemon variety to cooked orzo along with fresh spinach, arugula, roasted red peppers, and pine nuts for an easy to make and transport side dish that's sure to please a crowd. 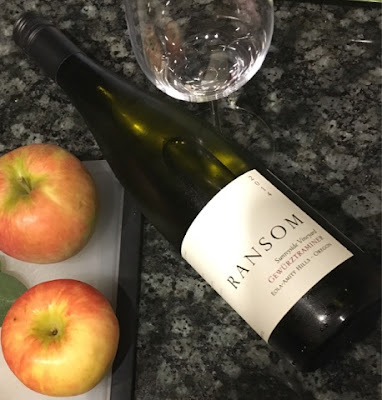 Gewürztraminer is dry and described as "opening with aromas of wild rose and apricot, the palate is a deft balance of terroir-driven minerality and crisp, mouthwatering acidity, with tantalizing flavors of white strawberry and Turkish delight. 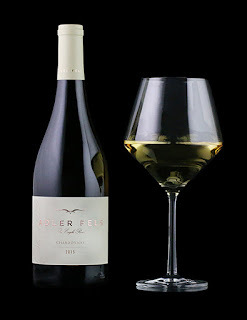 The finish is long, lithe, and scented of apple blossoms." Use it... for serving at the Thanksgiving or Christmas Eve table. This wine pairs really nicely with rich dishes (like you're probably serving alongside that turkey) and also with shellfish, making it a great option for a Christmas Eve Feast of Seven Fishes dinner too. Face Rock Creamery Premium Aged Cheddar - More cheese, please! Like Ransom wine, this is another artisan food product brought to you by the great state of Oregon. 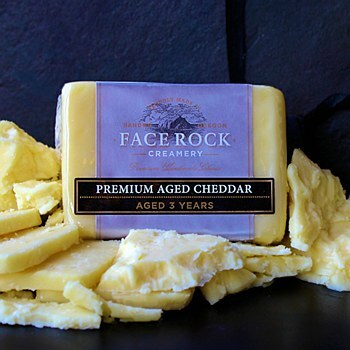 Face Rock is only a few years old, but as already received accolades for their high quality cheeses (particularly cheddar) produced the old fashioned way-- without artificial or unnecessary ingredients and using milk from grass-fed cows. And you can taste that kind of quality and purity in their rich flavorful cheeses. I especially loved the sharp flavor of their aged cheddar! Use it... as the start of an amazing fall charcuterie plate. Add a few more cheeses (maybe a blue and something soft), some hearty meats, and some festive fall accompaniments like sliced apples, toasted pumpkin seeds, dried cranberries, and fig jam for a no-cook and holiday party-ready appetizer. 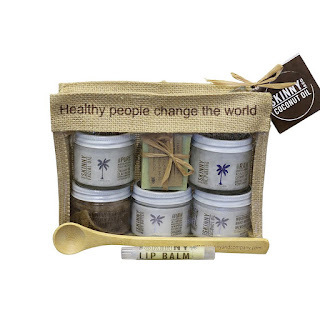 Skinny & Co. Coconut Oil Travel Kit - Coconut oil is a trend that is just not going away-- and for good reason. From cooking to oil pulling to moisturizing, it has a ton of uses and health benefits. Skinny & Co. is a unique producer of coconut oil products due in part to their production method: their patented Nutralock System™ crafts coconut oil at below 100 degrees F and they source it solely from their own factory, guaranteeing high quality production and ingredients in every batch. From there they have created tons of specialty coconut oil products. One of my favorites is their sugar scrub made of coconut sugar, coconut oil, and vanilla. It exfoliates and moisturizes at the same time (a huge plus for me postpartum, as the keratosis pilaris on my arms came back x1,000)-- and it smells amazing too! 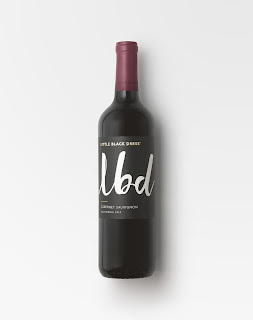 Use it... as a hostess gift. 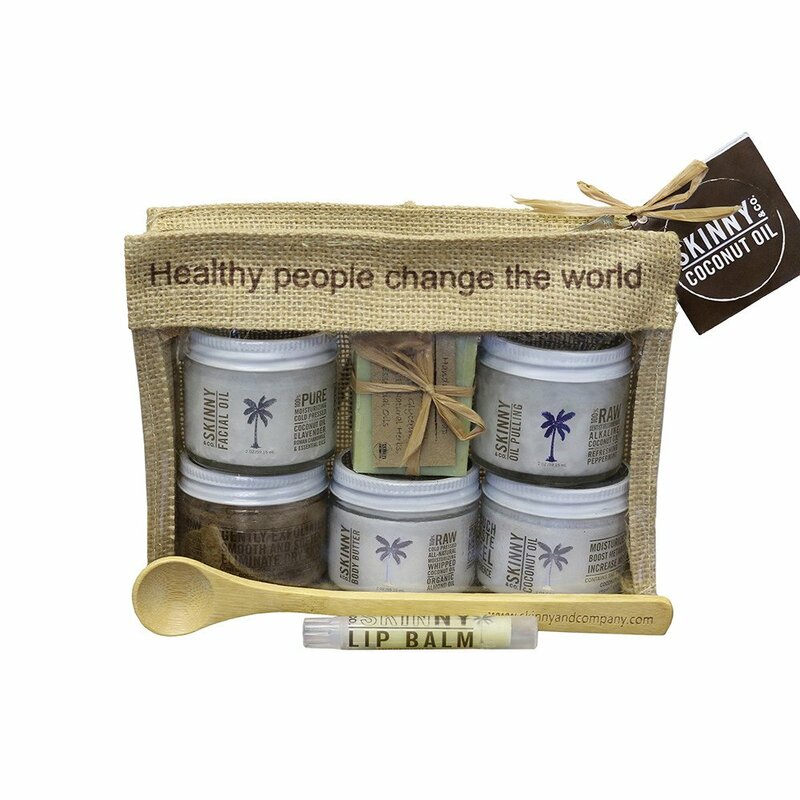 This beautifully packaged set of coconut oil products is such a thoughtful gift for any holiday party hostess-- especially one that has a soft spot for naturally nourishing ingredients. This gift set is the perfect way for a hardworking hostess to pamper herself after a successful holiday party! 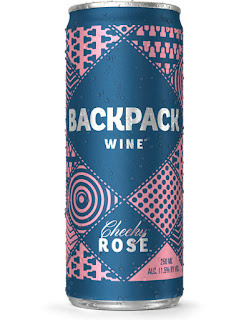 Backpack Wine - Guys, this is a fun one: Wine. In a can. It just sounds like it's made for camping/cookouts/kayaking/tailgating, right? 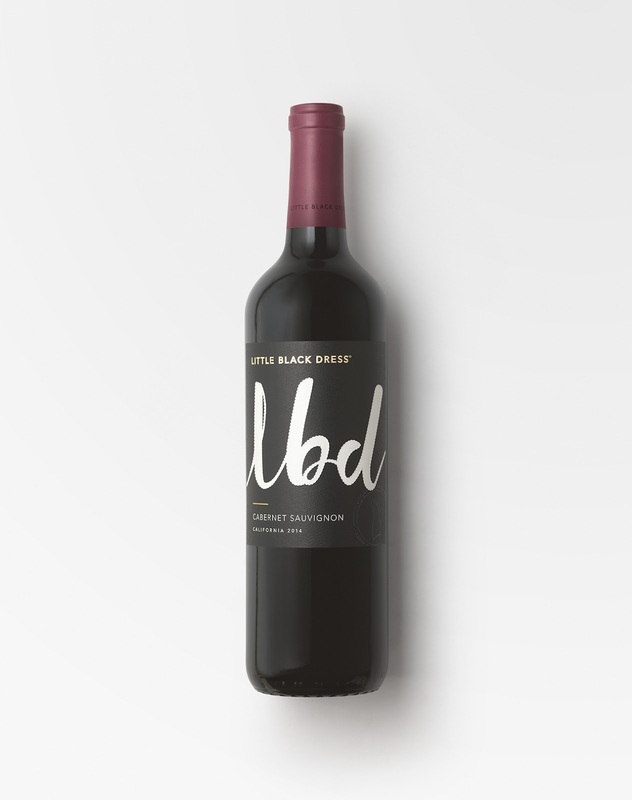 Backpack wine was created here in Chicago (hooray for drinking local!) and was inspired by those gorgeous warm spring and summer days we have here after a long hard winter. 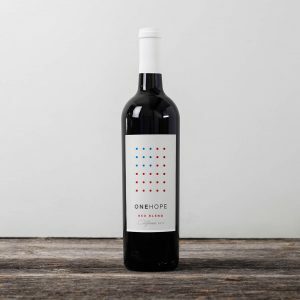 What better way to enjoy that weather than with a crisp wine that doesn't require a corkscrew, cups, or the threat of broken bottles? And Backpack was born. It's available in two fun varieties: Cheeky Rose and Snappy White, both sold in 4-packs-- perfect for bringing along to your next indoor or outdoor party! Use it... as a beer alternative at your next tailgate. Fall is prime tailgating season and what's more fun than grilling and drinking with friends and fellow fans in the crisp air? 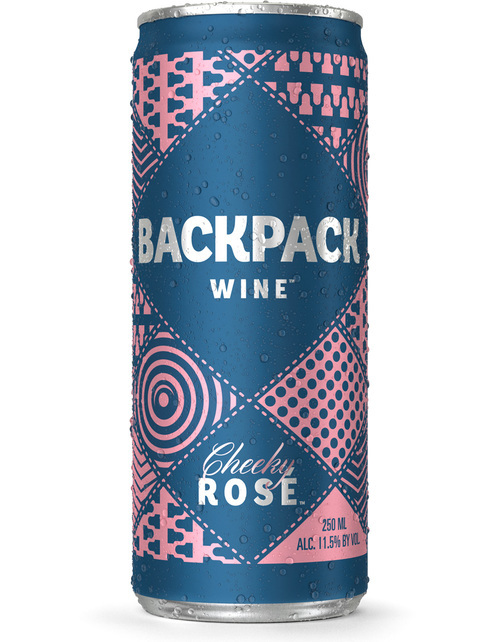 Beer is usually the beverage of choice at these events, but for those who prefer wine (like me) Backpack Wine is a great option. Put them in the cooler along with your favorite beer and forget about the dangers of a broken glass bottle or the mess of open keg cups. Editor's Note: Complimentary products were provided in order to facilitate this post. All opinions expressed herein are my own. Thanks for supporting the brands that support A Squared!